Hi! ideaing inspires you to automate your world with technology, for a more enriching and fulfilling life. Learn more about us. You probably didn’t know there were smart gym gadgets out there, did you? The gym is one place that could certainly stand to be a little smarter and more efficient. Of course, I’m not necessarily talking about gym equipment – like treadmills, cable systems, or bench press stations. I’m actually referring to the gear you bring along with you every time you head in for a workout. There are plenty of wrist wearables and fitness trackers. We have a few lists of our own if that’s what you’re looking for. Instead, how about a smart cup that can tell you when you need to hydrate? Wouldn’t it be cool to have smart, Bluetooth-enabled dumbbells that track your strength training? If these ideas interest you, then keep on reading! What Are Smart Gym Gadgets? 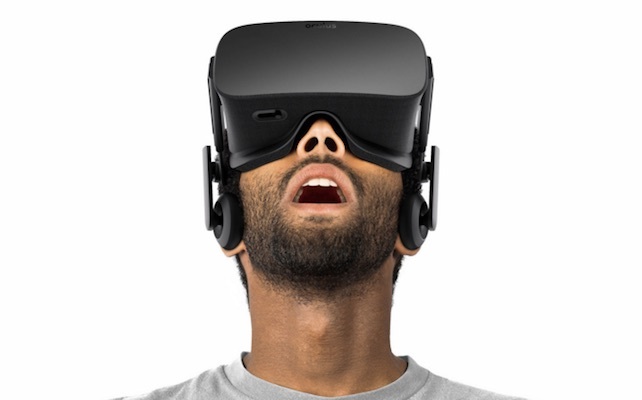 Hopefully, you know what smart tech is by now. Smart gym gadgets are similar, except they are meant to be used when you workout. 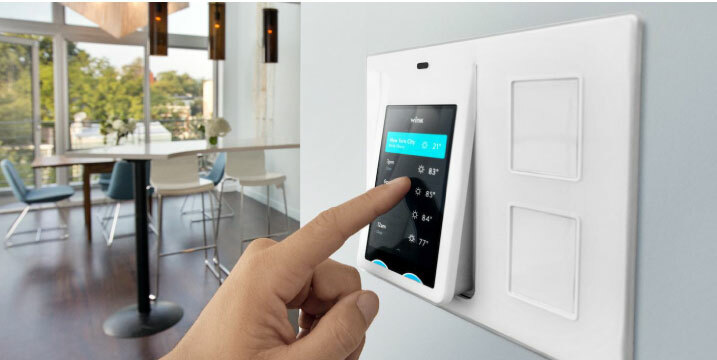 Ultimately, smart products make your life easier by keeping you connected. In the case of gym gadgets, they might track your health stats. Or, they may even enhance your workouts through unique features. The Jabra Sport Coach headphones, for example, are wireless earbuds that can be used to listen to music. What really makes them interesting though is that they include a built-in health trainer that will encourage and coach you during your workout routines. It’s like having your own personal fitness assistant. 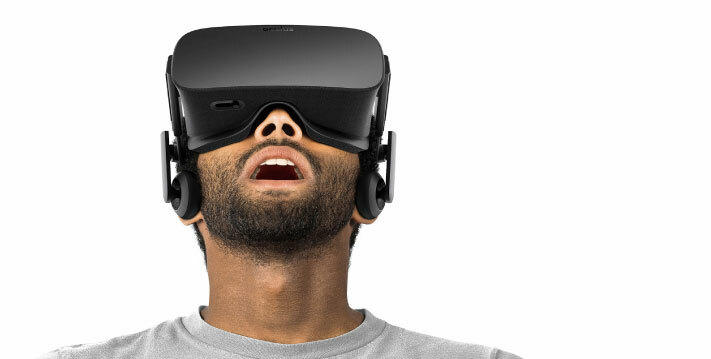 Most of these devices make your life – or workouts – convenient. Smart clothing and smart shoes, for instance, can tell you when it’s time to take a rest, or when you should be wrapping up your exercise. These devices add a new tech-rich approach to getting the best gains from your workout and improving your health. Most of these devices are simply connected to your phone with Bluetooth. 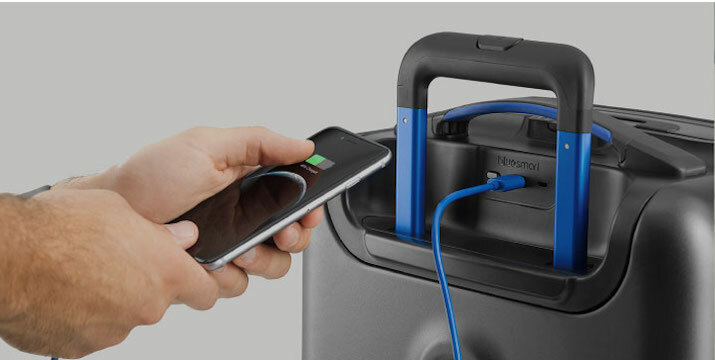 Simply charge the product, sync to your phone via app, and you’re ready to roll. Using them is also relatively easy. They are meant to make your gym life simpler, after all, not more difficult. 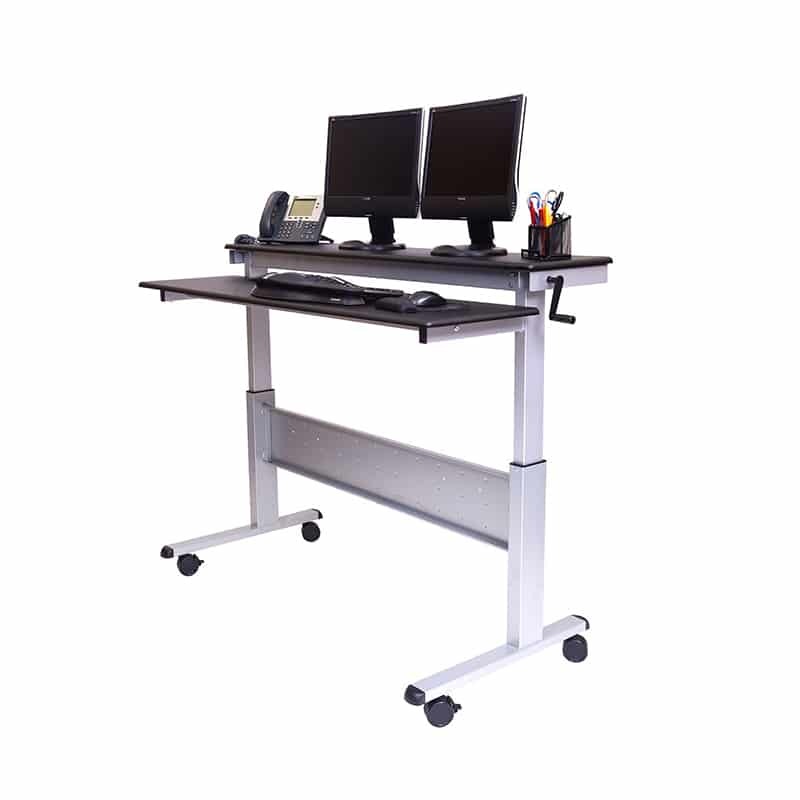 Because these devices vary in size, function, and usage they also vary in cost. 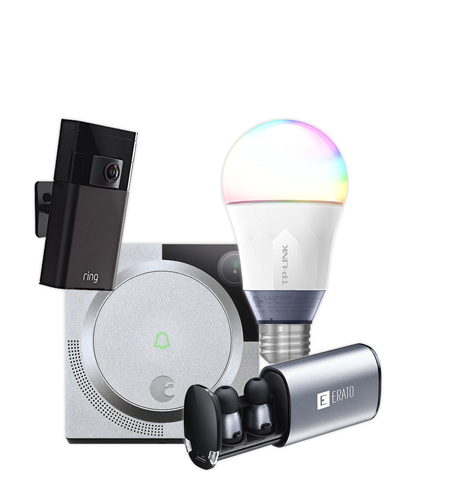 The devices we have chosen range from X to X. Don’t worry, there’s definitely something for everyone on this list – from the budget-minded to the top-of-the-line lovers out there. 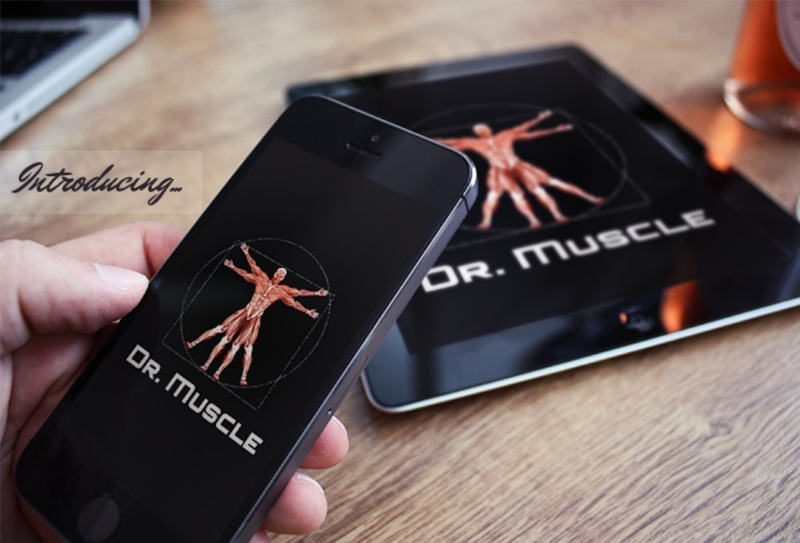 Do you want to integrate smart gym gadgets with your active lifestyle? 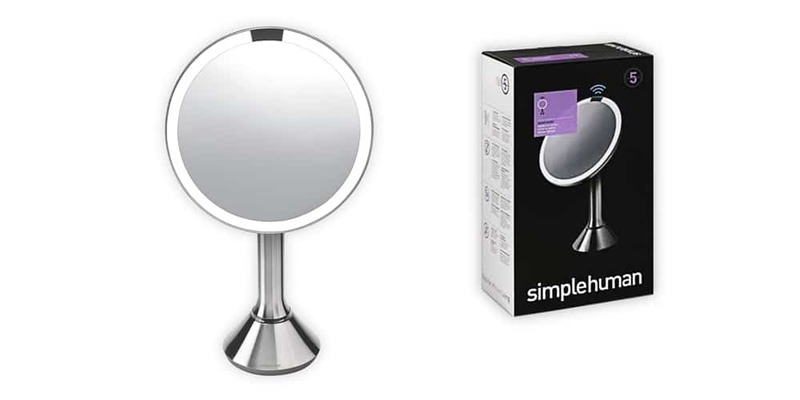 Want to know all about the devices we’ve chosen? Nice! Read on! Quick abs? Yep, that’s possible! I’m usually not one for “quick” workouts. Hard work is important to really get somewhere, especially when it comes to exercise; however, a little support goes a long way. The Slendertone Connect can do just that. It’s a smart device, controlled through an app on your smartphone, that attaches to your stomach in the form of a belt. This belt can be used for 30 minutes per day, and helps to tone your core. 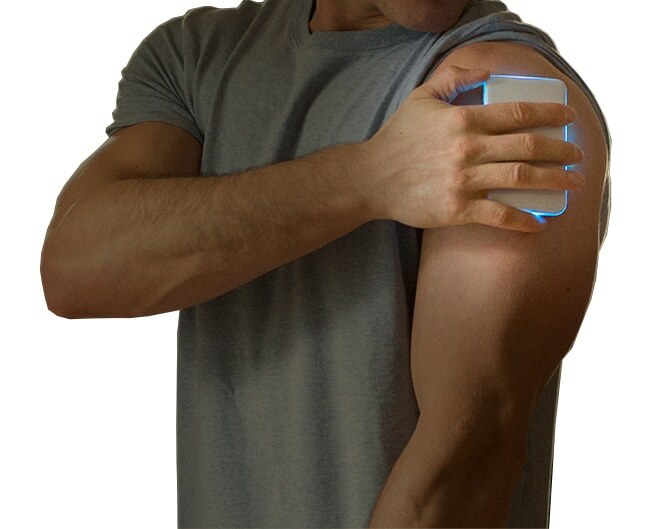 The device is light and discreet, so it can be worn under your clothing. 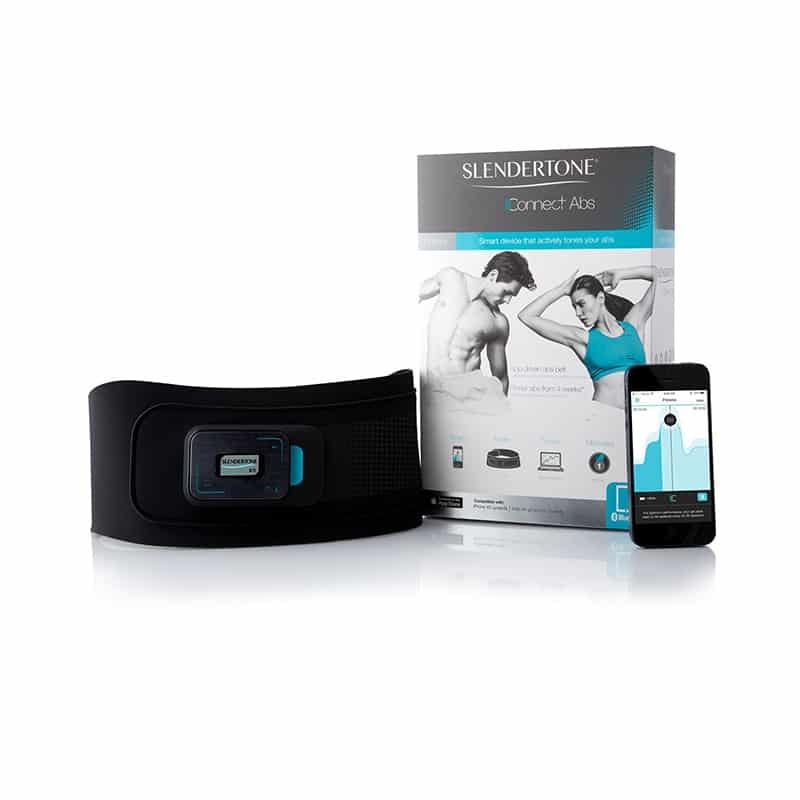 It can also track your progress over time, so you can truly see data around the effectiveness of the Slendertone. 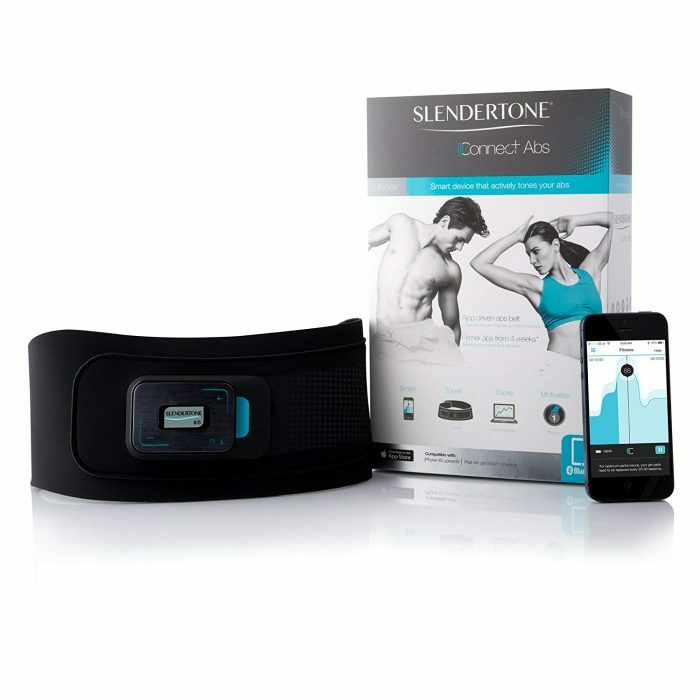 If you have had a difficult time getting those dream abs that you have always wanted, the Slendertone could be for you. 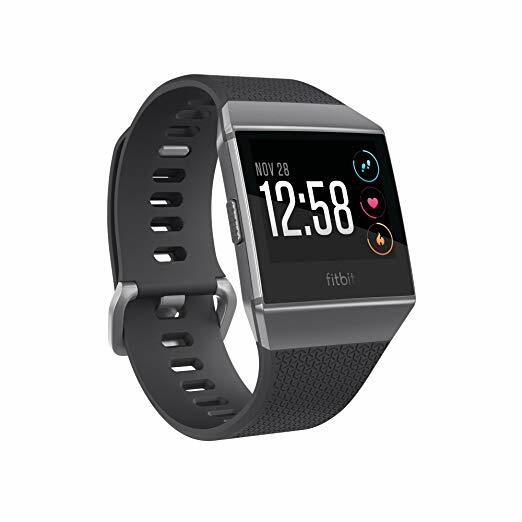 Sleek and functional, the Fitbit Ionic is a master in the wrist wearable space. 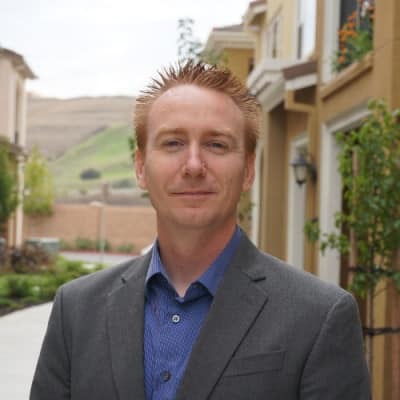 If you’ve read my articles here on Ideaing, you know very well that I love my Apple Watch for my every day walk through life – however, when I’m training for a marathon, triathlon or otherwise, I go to my Fitbit. 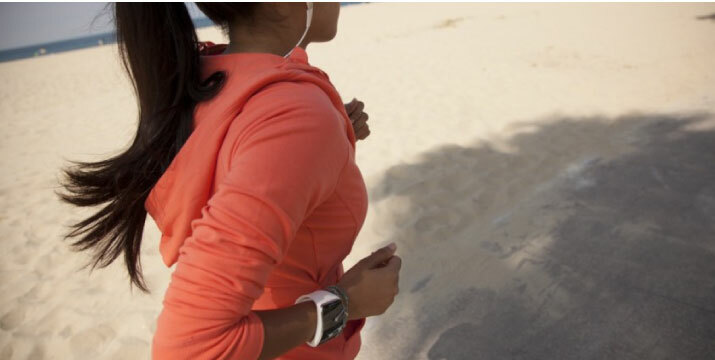 The Fitbit is truly made for runners or very active individuals. 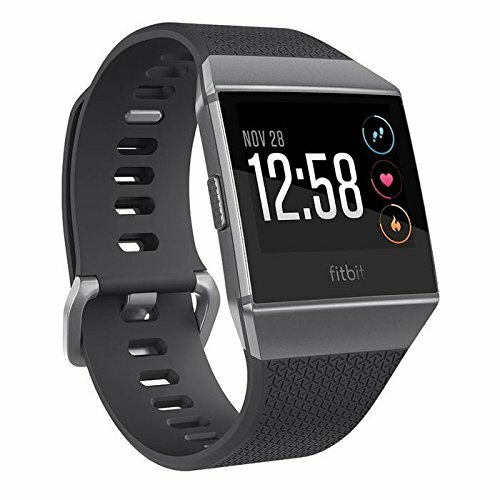 Providing 24/7 heart rate, GPS tracking, workout feedback and more, the FitBit is my top recommendation for anyone getting into the smart wearable space. Why? Because it’s so user intuitive and easy to navigate. It has 4+ days of battery life. AND it provides on-screen coaching after every single workout. What could be better? Just getting into the wearable space? The FitBit Ionic is exactly what you need. It’s easy to navigate through, yet comes with all of the bells and whistles you need. 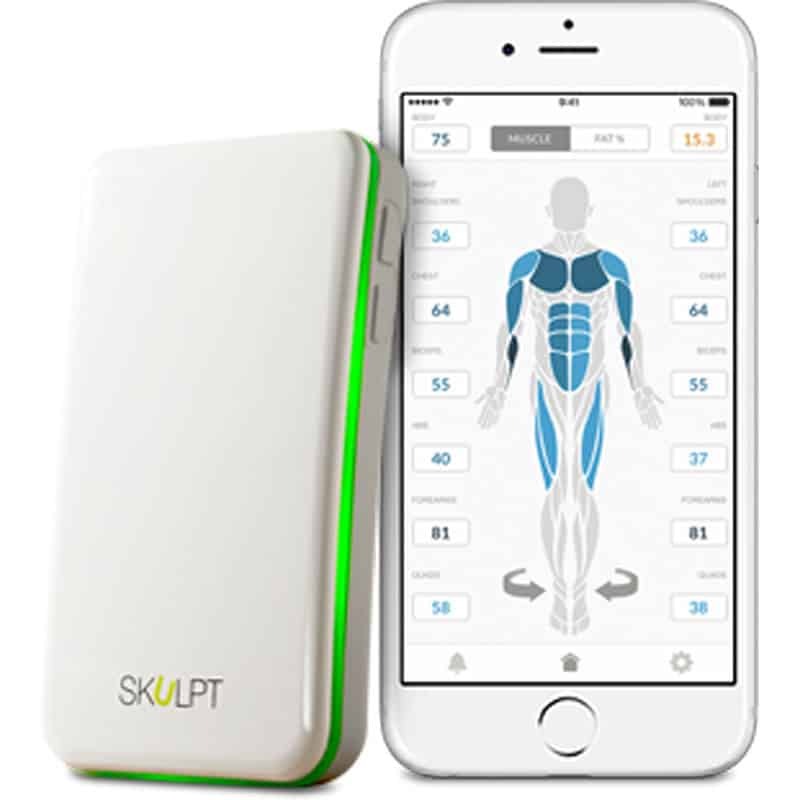 The Skulpt Scanner will help you keep an eye on your body fat percentage, and offer in-depth muscle analysis. Most smart gym gadgets that monitor activity will only track basic stats like total calories burned or the number of steps you walked or ran. Not only are these stats practically useless when you’re more interested in strength training and getting lean, but they don’t give you any true indication of your progress. It doesn’t take a genius to know that more steps taken and more calories burned means less fat, but how much less? Skulpt is a remarkable tracker that lets you see a ton of detailed stats regarding your activity and fitness. 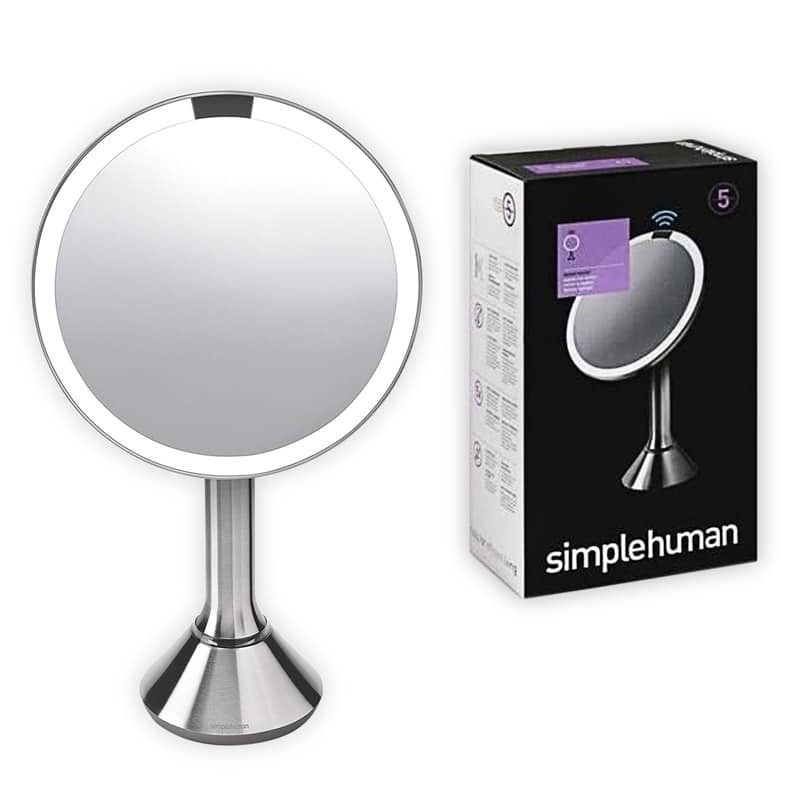 It will measure body fat percentage – in 24 different areas of your body no less – and provide in-depth muscle analysis. It can even deliver some workout tips and guidance to help you build more muscle, boost your strength, or just burn some fat. If your workouts involve less cardio and more strength training, this is definitely the tracker for you. No need to hop into your local pharmacy any longer. I remember accompanying my Grandmother to the pharmacy nearly every week, every Sunday, to check her blood pressure. She was always cognizant of her overall health, and at the time, blood pressure was a decent representation of one’s health. 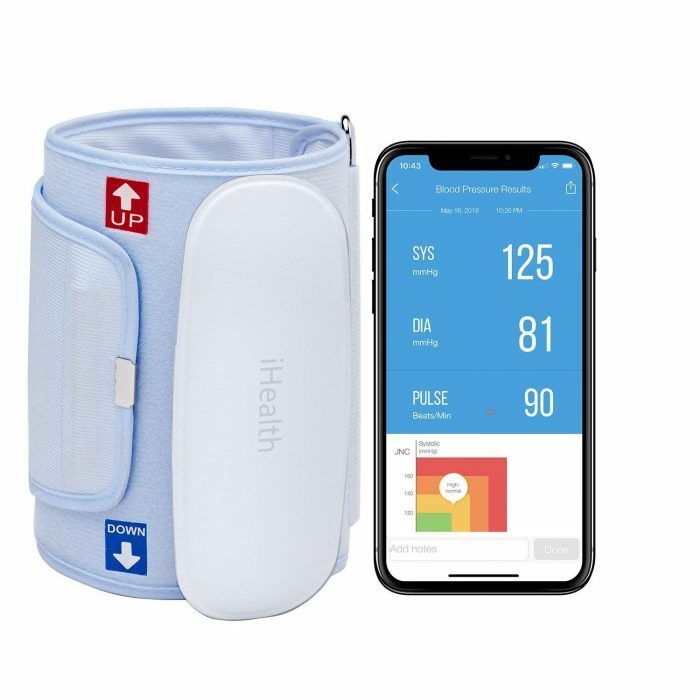 If she could only see this smart device – the iHealth Feel Fully Automatic Smart Blood Pressure Monitor – she would be so thrilled. This is a clinically tested and FDA-cleared device, giving you access to fast, reliable blood pressure readings. It’s really easy to use. 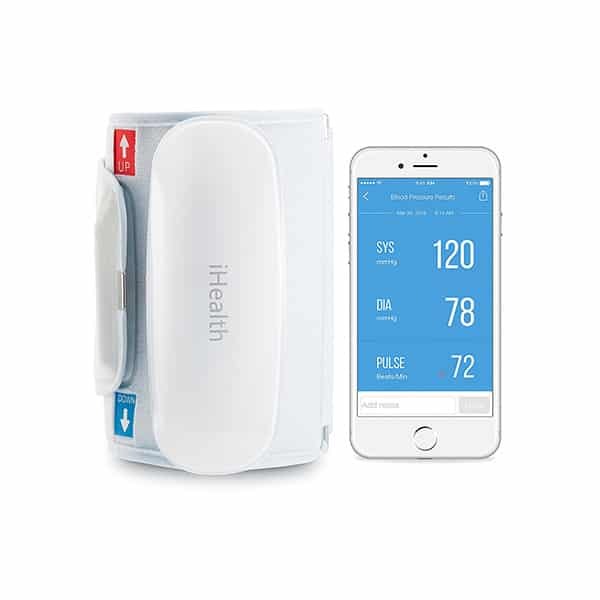 All you need to do is place your device on the monitor (like an iPhone), apply the home blood pressure cuff and measure instantly. All reading are synced so you can check results and trends over time. Does the story of my Grandmother ring true for you? If so, you might benefit from an at-home kit. It’s easy to use and can be very beneficial for users of all ages. Make sure you get the correct size! 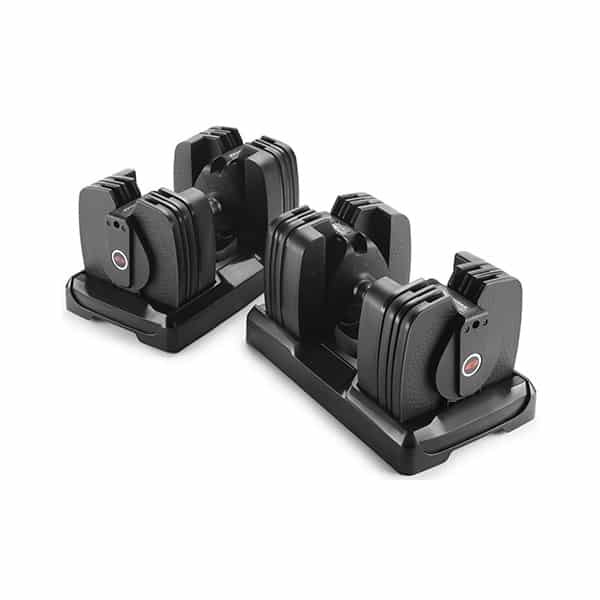 The Bowflex Selecttech 560 smart dumbbells can be adjusted from 5 to 60 pounds, and also track your activity. If you love free weights as much as I do, this next gadget is your coup de grace. It’s a versatile set of dumbbells that includes “cutting-edge performance technology,” which essentially means they are smart. 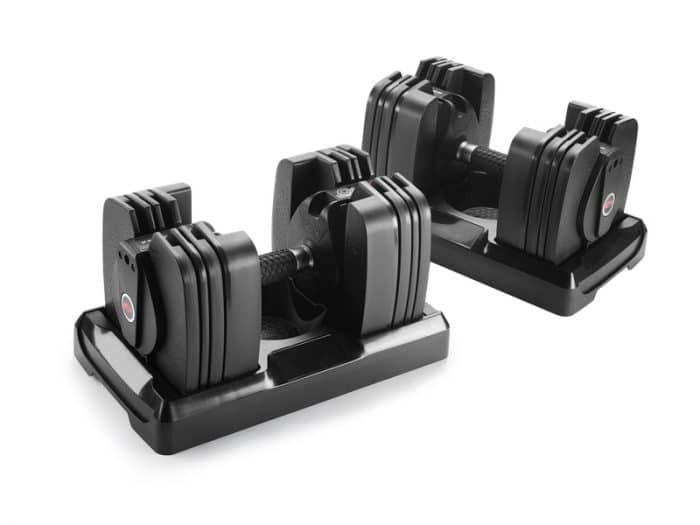 This pair of Bowflex dumbbells can replace an entire rack of conventional dumbbells. They include interchangeable discs so you can increase or decrease their weight. Each dumbbell can go from 5 to 60 pounds, quickly and easily. The “smart” features, however, come from the internal sensors that can track fitness and workout data. These things can count reps and sets, track your weight, personal goals and progress, and much more. All information is synced to a smartphone via Bluetooth with both Android and iOS apps available. They are a bit pricey but when you consider the fact that they’re the only dumbbells you’ll need, it’s not so bad. If you are searching for at-home dumbbell weights, this will do just the trick. While it can be great to head to the gym and utilize all that a membership has to offer, this device is excellent for small spaces. Water is essential to overall health – why not track it with a smart device? Did you know that water is essential for kidneys and other bodily functions? While the amount of water per day depends on the individual, on average men are to consume 3.7 liters and women are to consume 2.7 liters. That’s where the Thermos Smart Hydration Bottle comes into play. This device measures the intake of liquids, while calculating your suggested hydration based on your personal data. This means that if you sweat more frequently, let’s say, you might need more water than a peer who does not exercise as frequently. If you having a tough time getting the amount of water you need on a daily basis, this device is for you. 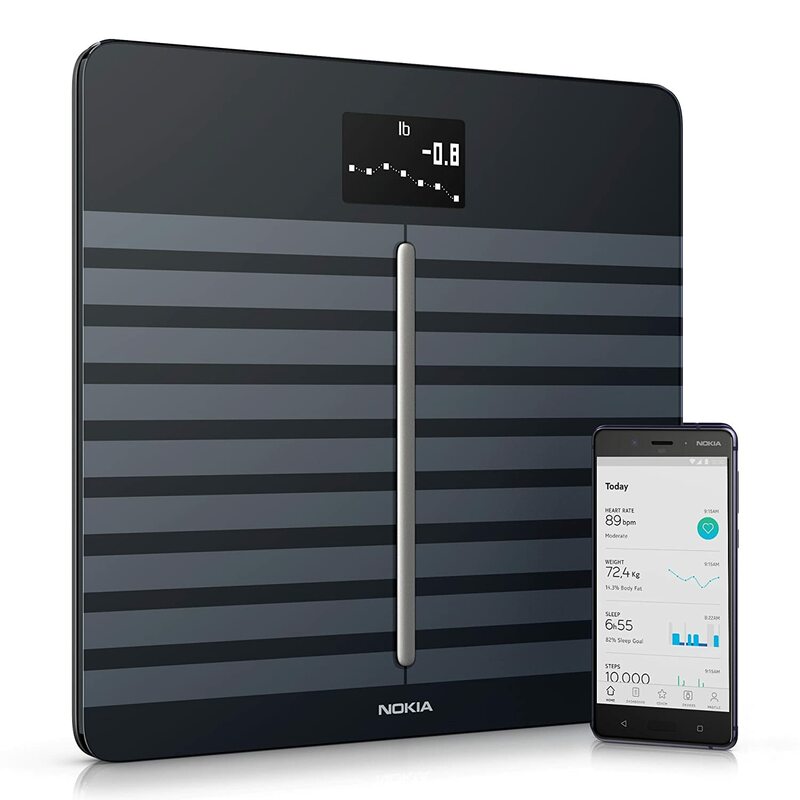 The scale scale will sync all readings with your Android or iOS smartphone. Admittedly, this is one of the smart gym gadgets you won’t lug with you to the gym, especially if you work out away from your home. But you would most certainly use it once you get back. The Withings scale is a weight scale that is a little more advanced than most. Sure, it will tell you your current weight – just like any other scale – but it can also measure your BMI, which is a true look at your fitness level. Other stats it can track include total body fat, standing heart rate, body composition and more. Once it has your information, it will forward the data to a mobile app on iOS or Android, so you can determine changes over time. Looking for a new scale? This could do just the trick. It’s accurate, smart and visually appealing. Here are the Best Smart Gym Gadgets comparison. Gadgets for the gym are so unique and custom to each individual. While I look for a watch that has excellent GPS accuracy, others might enjoy the ability to have small, travel-size products in their closet. Here are some FAQ you should know when looking for smart gym gadgets. Q: Are there different sizes that I should be aware of for gym devices? A: While these devices aren’t available in clothing sizes per se, it is important to be aware of what is available to you. For example, watch sizes can come in S/M and M/L, or in face dimension sizes. Q: How much should I be willing to spend? A: Smart devices for the gym vary in terms of investment. Some smart watches can cost $250, while others can cost $600. You should be aware of what you are willing to spend, especially when purchasing a smart device like these for the first time. Q: Are these durable enough for fitness or the gym? A: Every device on this list has been selected with care, which means we have thoroughly reviewed online feedback, warranty information and more. This means that the devices on this list are overall very durable. Wearables and smart gym gadgets you’d use at home or away are different than those you’d wear for other activities. Yes, they have similar features, some of which even overlap. But chances are, you’ll want to track entirely different stats and data. For example, you might want to track your sets or reps, or your muscle growth over time. Maybe you’d rather track how much water you are consuming, and whether or not you are properly hydrated? What about your diet? Are you eating the right foods and getting enough vitamins and nutrients? What do you think of our list of smart gym gadgets? Did we miss anything you would have included? Ideaing empowers you to live smarter. Our team researches and recommends only the best smart gadgets, and we may earn a small commission if you buy through our site. Our writers maintain strict editorial independence and integrity. Ideaing is independently owned and the opinions expressed here are our own. Learn more about us.